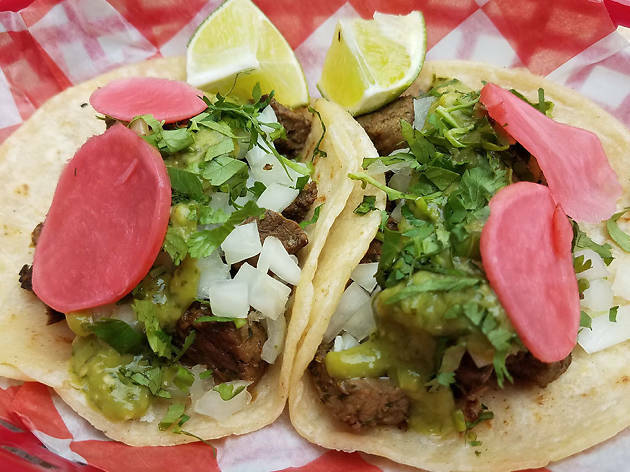 This bar-meets-taqueria draws huge crowds for its lively atmosphere (read: single’s scene) as well as its top-notch tacos. Our favorite? 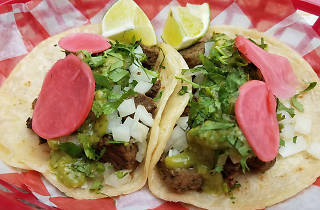 The carne asada, available on either a corn or flour tortilla and topped with chopped onion, pickled radish and cilantro. You’d be wise to ask for extra salsa, which is made with tomatillos and avocados whose piquant punch cuts through the fatty steak.